Kalithea Sun & Sky Hotel is a budget-friendly property that offers three-star facilities and services. 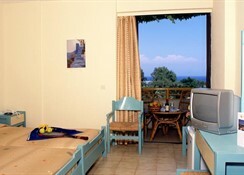 Mostly visited by couples, families, group travellers and young adults, the hotel features all-inclusive accommodations. The hotel also features an inviting pool area fitted with sun loungers and parasols. The onsite restaurants offer a plethora of cuisines from around the world. Within the complex, guests of the hotel can try water polo, water volleyball, water gymnasium and such other games. 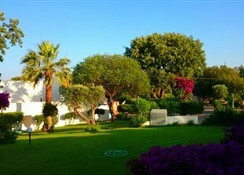 The hotel also houses a tennis court, billiards, table tennis, children's playground, air hockey and few electronic games. 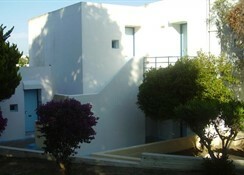 Kalithea Sun & Sky Hotel is about 2.6km from the harbour in Rhodes. 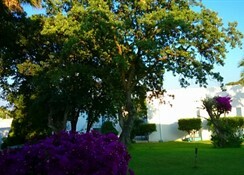 Though centrally located, the hotel is built in the greenest area in town. There are few beaches around the hotel and are about 800m metres away through the town area. You will find restaurants and shops around the hotel—for more option you can walk towards Supermarket Spanos or the harbour. You can visit places such as Archaeological Museum of Rhodes at 3.7km and Aquarium of Rhodes at 3.3km, besides having a wonderful time shopping and relaxing on the beach. 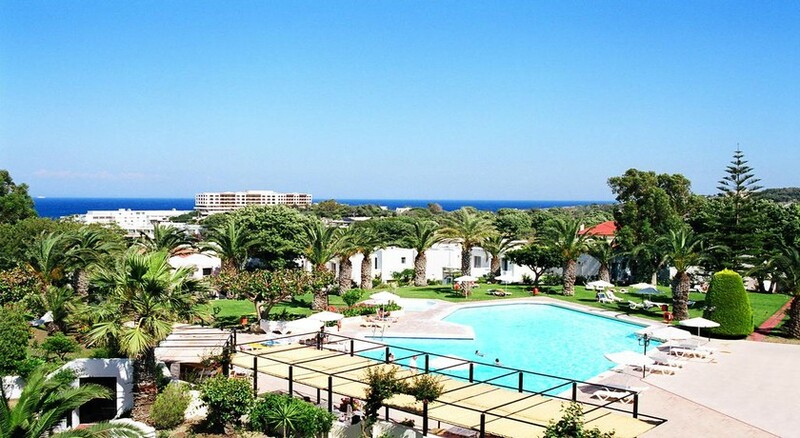 There are also few villages around Rhodes and they’re worth a trip—the Rhodes International Airport is about 14km from the hotel. Kalithea Sun & Sky Hotel features 189 guestrooms that are beautifully designed. Divided into double rooms, bungalows and apartments, the accommodations are equipped to host couples, group travellers and families. You will find facilities such as air conditioning, TV with satellite, en suite with bath amenities, hairdryer, Wi-Fi internet, balcony/terrace, telephone, mini fridge and safe deposit box—you might have to locally pay to use some of the facilities in the room. Most of the rooms have twin beds (joined or separate) and you can request for an extra bed or crib at the front desk. Housekeeping is available daily, whereas towels are replaced every other day and linens are changed twice a week. The Kalithea Sun & Sky Hotel offers all-inclusive boarding options and concurring to it is a buffet restaurant and two bars. Breakfast is served between 7am – 9pm, lunch between 12 noon – 2pm and dinner from 6:30pm to 9pm. It also serves late breakfast (10am to 11am), light snacks (2pm to 3pm) and tea (3pm to 5pm). Breakfast is continental in style with plenty of options from both beverages and food section. 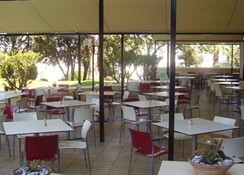 And at lunch and dinner, the restaurant serves traditional and international cuisines, complimented by alcoholic drinks. The hotel also boasts a pool bar what opens between 10am – 5pm and serves light meals and alcoholic and non-alcoholic beverages. In the evenings, the main bar features an extensive bar menu—opens from 5pm to 11pm. In case of rain or bad weather, the indoor bar remains open throughout the day. Whether you want to take a dip or bask in the warm Greek sun, there is a large outdoor swimming pool surrounded by complimentary loungers and parasols. You can request for lilos and beach towels at the front desk and try water polo, water volleyball, water gymnasium and such other games. 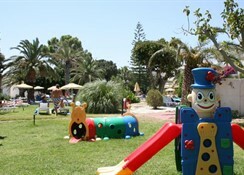 The hotel also houses a tennis court, billiards, table tennis, children's playground, air hockey and few electronic games. Also centrally situated, whether you wish to visit the beach or go exploring the surrounding, the hotel offers proximity. Colossus Rhodes at 3.4km and Acropolis of Rhodes at 1.6km are places of interests that you can visit.